Join me for 60 days to Rock your New Years Resolutions. Most people fail because they lack support and accountability. That's what this group will give you. You'll have daily support and accountability and a wonderful community of supportive like-minded women just like you. I’ll be working right along with you because this is a lifestyle change and I may not have it all together but I’m sure as heck going to fight right alongside you. 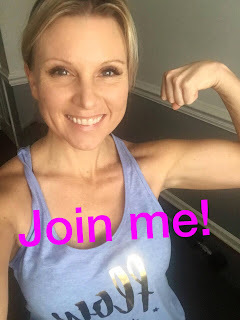 The private Group has Working mommas and busy stay at home mommas who are trying to make the time to get their workout in, change their eating patterns and just feel better overall. This program will give you the tools and support you need to make the changes you need to make. If you already have a workout program, this will be so helpful for getting your nutrition in line and having the support you need to make sure you are showing up for your workouts. Just because the gym is there, doesn't mean you're going. Daily accountability helps you to make it a priority and helps you to follow through with your commitment. If you are interested in learning more, email me or add me on facebook, and I will contact you with more information and we can see if this group is a good fit for you and your needs and goals. Open to Coaches on our Team and current customers!